Podiatry Services At Ocean County Foot And Ankle Surgical Associates, P.C. 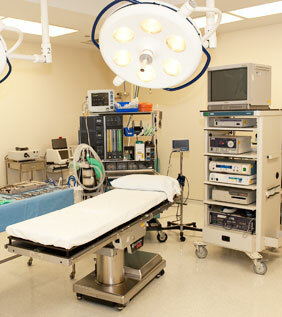 Ocean County Foot & Ankle Surgical Associates, P.C. Ocean County Foot & Ankle Surgical Associates is your local trusted provider of podiatry services in Ocean County, New Jersey. Our team of highly experienced foot and ankle surgeons has the knowledge, resources and dedication to treat a wide range of problems in your feet, ankles and legs. Whether you require treatment for a minor problem that's affecting your personal quality of life or surgery for a severe condition that could threaten your limb or life if left untreated, our board-certified physicians are experts at diagnosing and treating all types of conditions, injuries and illnesses in the lower extremities. We believe patient satisfaction should always be the top priority, and we're here to provide you with the attention and care you deserve. General foot and ankle care for common foot problems, including fungus nails, ingrown nails, calluses, corns, heel pain, plantar fasciitis, athlete's foot and other foot-related conditions. Sports and traumatic injuries are managed effectively with one of our comprehensive treatment plans. Our solutions alleviate your pain and work quickly to correct crush injuries, fractures, sprains, dislocations, stress fractures and other sudden or severe physical injuries to the feet or ankles. Foot and ankle surgery may be required for severe injuries or when a foot-related condition doesn't respond to treatment. Our board-certified foot and ankle surgeons utilize state-of-the-art facilities for required and elective surgeries, including surgical solutions for bunions, hammertoes, Morton's neuroma syndrome, posterior tibial dysfunction and other foot and ankle issues. Plantar fasciitis causes pain in the bottom of the heel or the arch of the foot. Our trusted physicians treat inflammation and pain associated with plantar fasciitis and other heel conditions to alleviate your discomfort and prevent symptoms from returning. Pediatric foot conditions can affect children of all ages and require qualified medical care to alleviate discomfort and prevent problems from worsening. We confidently treat children for flatfoot, intoeing, toe walking, plantar warts, athlete's foot and other pediatric foot problems. Diabetic foot care is vital to the millions of Americans affected by diabetes, a disease that can cause numerous issues in your lower extremities. We recommend regular checkups for our diabetic patients, even if you're not currently experiencing pain. We offer a comprehensive diabetic foot care program that provides numerous solutions for neuropathy, calluses, poor circulation, skin changes and other related foot, ankle and leg issues.